Here's how to understand the merger of humans and robots. Here’s an experiment that fits all ages: approach your mother and father (if they’re asleep, use caution). Ask them gently about that time before you were born, and whether they dared think at that time that one day everybody will post and share their images on a social network called “Facebook”. Or that they will receive answers to every question from a mysterious entity called “Google”. Or enjoy the services of a digital adviser called “Waze” that guides you everywhere on the road. If they say they figured all of the above will happen, kindly refer those people to me. We’re always in need of good futurists. The truth is that very few thought, in those olden days of yore, that technologies like supercomputers, wireless network or artificial intelligence will make their way to the general public in the future. Even those who figured that these technologies will become cheaper and more widespread, failed in imagining the uses they will be put to, and how they will change society. And here we are today, when you’re posting your naked pictures on Facebook. Thanks again, technology. History is full of cases in which a new and groundbreaking technology, or a collection of such technologies, completely changes people’s lives. The change is often so dramatic that people who’ve lived before the technological leap have a very hard time understanding how the subsequent generations think. To the people before the change, the new generation may as well be aliens in their way of thinking and seeing the world. These kinds of dramatic shifts in thinking are called Singularity – a phrase that is originally derived from mathematics and describes a point which we are incapable of deciphering its exact properties. It’s that place where the equations basically go nuts and make no sense any longer. 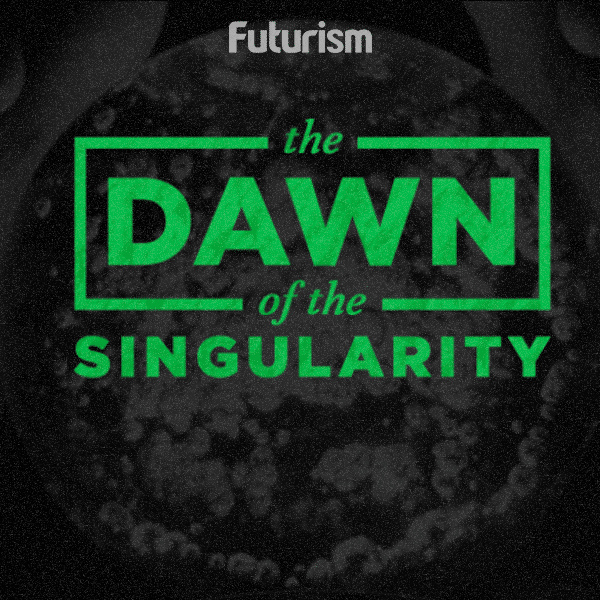 The other prominent prophet of the Singularity is Ray Kurzweil. In his book The Singularity is Near, Kurzweil basically agrees with Vinge but believes the later has been too optimistic in his view of technological progress. Kurzweil believes that by the year 2045 we will experience the greatest technological singularity in the history of mankind: the kind that could, in just a few years, overturn the institutes and pillars of society and completely change the way we view ourselves as human beings. Just like Vinge, Kurzweil believes that we’ll get to the Singularity by creating a super-human artificial intelligence (AI). An AI of that level could conceive of ideas that no human being has thought about in the past, and will invent technological tools that will be more sophisticated and advanced than anything we have today. Since one of the roles of this AI would be to improve itself and perform better, it seems pretty obvious that once we have a super-intelligent AI, it will be able to create a better version of itself. And guess what the new generation of AI would then do? That’s right – improve itself even further. This kind of a race would lead to an intelligence explosion and will leave old poor us – simple, biological machines that we are – far behind. If this notion scares you, you’re in good company. A few of the most widely regarded scientists, thinkers and inventors, like Steven Hawking and Elon Musk, have already expressed their concerns that super-intelligent AI could escape our control and move against us. Others focus on the great opportunities that such a singularity holds for us. They believe that a super-intelligent AI, if kept on a tight leash, could analyze and expose many of the wonders of the world for us. Einstein, after all, was a remarkable genius who has revolutionized our understanding of physics. Well, how would the world change if we enjoyed tens, hundreds and millions ‘Einsteins’ that could’ve analyzed every problem and find a solution for it? Similarly, how would things look like if each of us could enjoy his very own “Doctor House”, that constantly analyzed his medical state and provided ongoing recommendations? And which new ideas and revelations would those super-intelligences come up with, when they go over humanity’s history and holy books? Already we see how AI is starting to change the ways in which we think about ourselves. The computer “Deep Blue” managed to beat Gary Kasparov in chess in 1997. Today, after nearly twenty years of further development, human chess masters can no longer beat on their own even an AI running on a laptop computer. But after his defeat, Kasparov has created a new kind of chess contests: ones in which humanoid and computerized players collaborate, and together reach greater successes and accomplishments than each would’ve gotten on their own. In this sort of a collaboration, the computer provides rapid computations of possible moves, and suggests several to the human player. Its human compatriot needs to pick the best option, to understand their opponents and to throw them off balance. Together, the two create a centaur: a mythical creature that combines the best traits of two different species. We see, then that AI has already forced chess players to reconsider their humanity and their game. In the next few decades we can expect a similar singularity to occur in many other games, professions and other fields that were previously conserved for human beings only. Some humans will struggle against the AI. Others will ignore it. Both these approaches will prove disastrous, since when the AI will become capable than human beings, both the strugglers and the ignorant will remain behind. Others will realize that the only way to success lies in collaboration with the computers. They will help computers learn and will direct their growth and learning. Those people will be the centaurs of the future. And this realization – that man can no longer rely only on himself and his brain, but instead must collaborate and unite with sophisticated computers to beat tomorrow’s challenges – well, isn’t that a singularity all by itself? Becoming Borg: What Is a Hive Mind in Science and Could Humanity Get There?